AMD was the first company to really dive into the HBM waters using an interposer technology that allows the memory and the CPU to be stacked on the same layer instead of stacking the memory directly on the processor. The use of this technology saw the first HBM based GPUs to hit the market in the form of the R9 Fury line up. As most people are aware the R9 Fury did not end up with a massive performance lead over NVIDIA’s top offering, but it did put AMD back in the running for the performance crown. NVIDIA in the meant time has been waiting on HBM 2 for their future GPUs including a top end version of Pascal. According to the information we have, NVIDIA chose to wait on HBM 2 due to potential supply issues with SK-Hynix. Samsung does not have the same logistical issues and should be able to ramp up very quickly. I am not sure that they can ramp up to meet an April/May full scale lunch, but it will certainly be close. This means that AMD’s dual GPU sporting R9 Fury X with HBM 1 might not be enough to outperform Pascal. 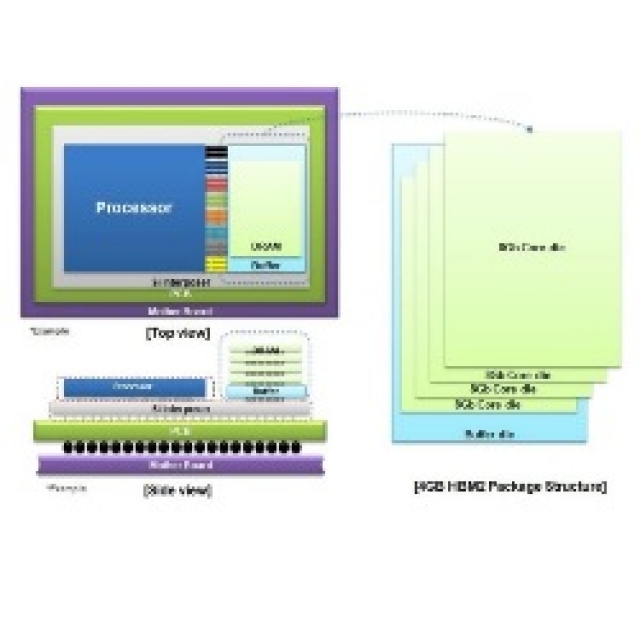 Even with two processors on the card and 4GB of HBM 1 per GPU, Pascal with 16GB of HBM 2 will more than double the available memory bandwidth to the GPU and allow for very fast passage of code from the GPU to the system. It would be very suited to the demands of VR and should use significantly less power. Pascal will not have the complexities of an onboard PLX bridge for intra-GPU communication or the additional challenges that will be in the drivers to keep things running smoothly. NVIDIA also has the money to throw at this solution and to offer “development” support to game development shops to push their product over AMD. AMD just does not have the cash to do that or too quickly shift from HBM1 to HBM 2. We will probably not see HBM 2 products from AMD until very late 2016 or, more likely, Q2 2017 after Zen has brought in some cash to spend. Of course this announcement does not indicate exactly when HBM2 production will him consumer sales volumes, but it is certainly good news for the market. However, even if full consumer volume is not ready in time to make the Oculus launch, NVIDIA is still in a good position. They could launch a limited number of Pascal GPUs with HBM 2 and then a version with GDDR5X to meet demand. This is also something that AMD would have to stretch to do due to financial issues. Make no mistake, the company to get a product out that works well with VR will capture the lion’s share of the market. Right now, NVIDIA looks to be in a much better position than AMD to meet this need. There is always the chance that something could change, but as of this writing, we are not seeing it.